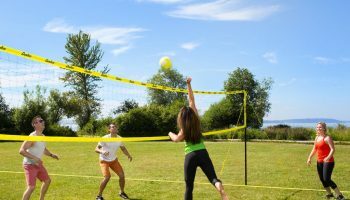 We provide Volleyball Court Rentals and can set them up for your next company picnic, family reunion or any other event you might be having. 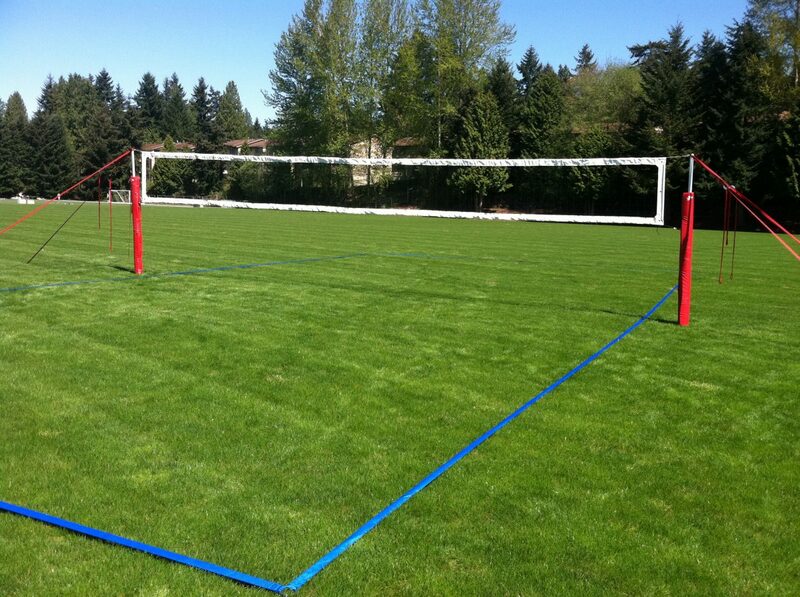 Our Volleyball Court Rentals are main to be set up on a grass area. We also provide professional boundary lines. We also include 2 professional volleyballs. Let us do the set-up and all you have to do is enjoy playing the game with your friends and family. We can also have a referee assist in your game if you would like. 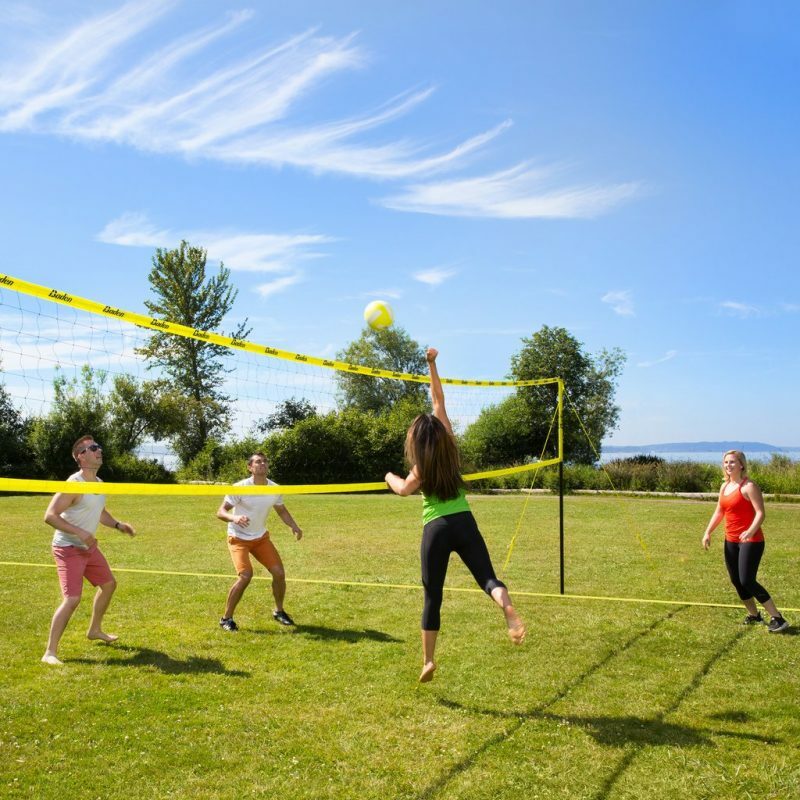 We install our volleyball courts at parks, homes, businesses and any other area that you would like. Grass and sand are the only two surfaces we install our systems in (sorry no cement). 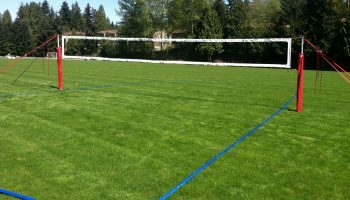 A 30 foot by 60 foot is required if you would like us to install the boundary lines.